Bitter Melon is a fruit commonly referred to as Bitter Gourd or Bitter Squash in various parts of the world. Although botanically it is a fruit, many use Bitter Melon as a vegetable in various types of cooking. Found in abundance in Asia and Africa, this edible fruit which belongs to the family of Cucurbitaceae is consumed for its numerous health properties. Associated the bitter gourd as a beneficial vegetable for medicinal purposes, particularly for those suffering from diabetes. Additionally, it was used as a folk remedy for curing tumors, asthma, skin infections, GI problems, and hypertension. Not just China, the medicinal benefits of bitter gourd were highly treasured in India, Africa, and southeastern US as well. It is widely spread across tropical, subtropical, and temperate regions. 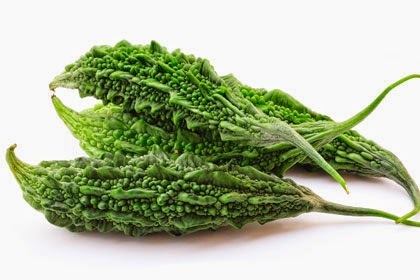 Today, this bitter yet healthful vegetable is commercially cultivated in China, Taiwan, Vietnam, Thailand, India, Philippines, Malaysia, South America, and the Caribbean. 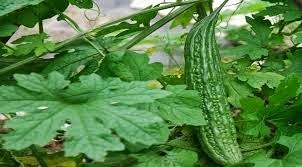 Let's have a look on best health and nutritional benefits of Bitter Gourd Juice. 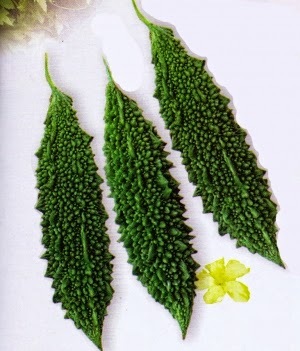 Bitter melon extracts are used in traditional treatment and herbal treatment for measles and chickenpox. Bitter melon paste mixed with tea tree oil has proved effective in treating, rashes and inflammation. 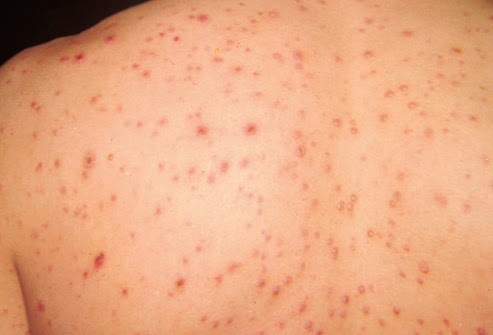 Consumption of 30 ml of fresh bitter gourd juice in recommended for individuals that suffer from acne conditions. Bitter melon has antiviral properties which is why it is used as a treatment for HIV patients. Global research in laboratories across the world suggest anti retroviral drugs with bitter melon extracts maybe used for treatment of HIV in the future. It is an excellent source of health benefiting flavonoids such as ß-carotene, α-carotene, lutein, and zea-xanthin. It also contains a good amount of vitamin A. Together; these compounds help act as protective scavengers against oxygen-derived free radicals and reactive oxygen species (ROS) that play a role in aging, cancers and various disease processes. 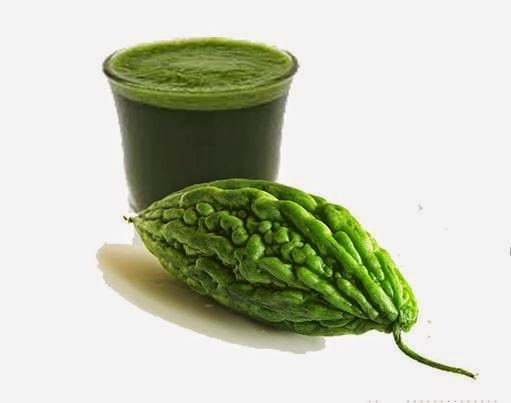 Bitter gourd juice is highly beneficial for treating blood disorders like blood boils and itching due to toxemia. Mix 2 ounces of fresh bitter gourd juice with some lime juice. Sip it slowly on an empty stomach daily for between four and six months and see improvement in your condition. 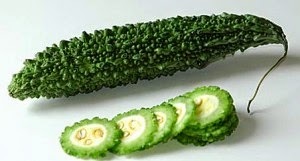 Alpha- eleostearic present in seeds of bitter melon and 15, 16-Dihydroxy- Alpha-eleostearic acid in pulp (fruit) of bitter melon have proven effective in killing leukemia cells. Research reveals bitter melon extracts used in dietary supplements minimize the risk of colorectal cancer (colon cancer). Extracts of seeds and fruit are used in various Ayurvedic treatments. Bitter melon has proven highly effective in preventing cancer cells from multiplying, especially in breast cancer. 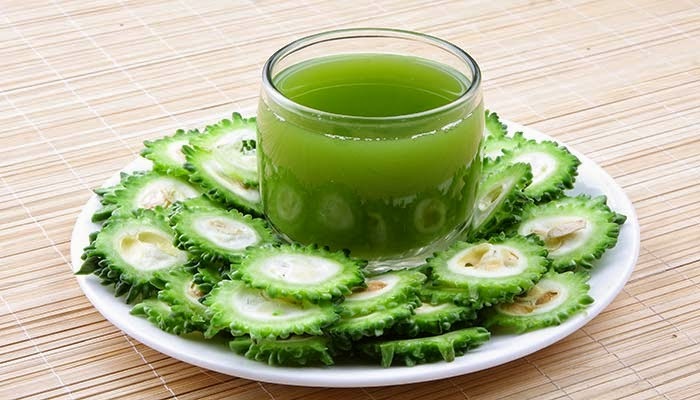 With high levels of beta-carotene and other beneficial compounds, bitter gourd juice is regarded as the best drink for alleviating eye disorders and strengthening eyesight. Further, it is recommended by herbalists for normalizing restless sleeping patterns. Bitter melon contains a hypoglycemic compound (a plant insulin) that is highly beneficial in lowering sugar levels in blood and urine. Bitter melon juice has been shown to significantly improve glucose tolerance without increasing blood insulin levels. 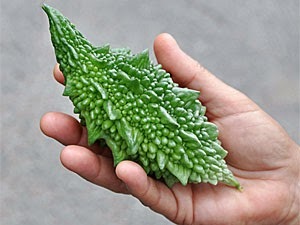 Fresh juice of bitter gourd leaves can be used to treat cholera in early stages. It prevents bacteria that cause malaria/cholera from growing. 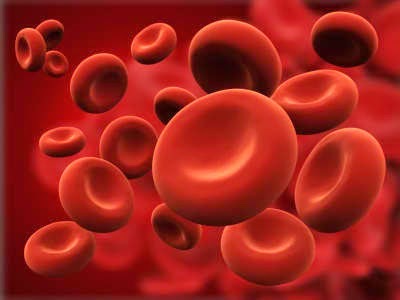 It also weakens some kind of viruses like measles, chickenpox, herpes and also deadly diseases like HIV. It slows down the growth of the bacteria and kills it when it gets weak. Mix three teaspoonfuls of juice from bitter melon leaves with a glassful of buttermilk. Take this every morning on empty stomach for about a month and see an improvement to your condition. To hasten the healing, use the paste of the roots of bitter melon plant and apply over the piles. 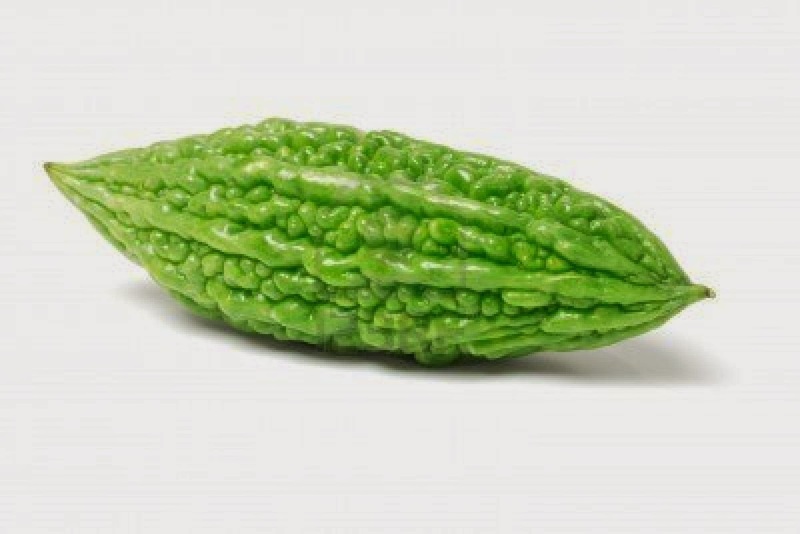 Bitter gourd is a known remedy for curing various skin diseases and skin infections, such as eczema. Not only it avoids the skin from developing blemishes, it also improves the glow and texture of the skin, ensuring that you do not develop any acne. It has also been acknowledged for successfully healing skin eruptions, chapped skin and burns. Asthma patients can highly benefit by having Bitter Gourd juice. It helps cure chronic cough and breathing problems by removing the sputum that accumulates within the lungs and the respiratory tract.